If anybody is searching for a nice veteran internal combustion vehicle, they could do worse than this ..... A 1915 Humber 14/40 departed factory in january 1916, sent to the colonies as a chassis and engine, the body supplied by Waring brothers in Melbourne, it has the "colonial" chassis- that is a bit longer than normal. Restoration completed in 2003, -full rebuild totally new body, leather upholstry 12 volt electrics fitted. lots of brass. A stunning looking vehicle that goes as well as it looks. (I have had it up to 100km/ph). 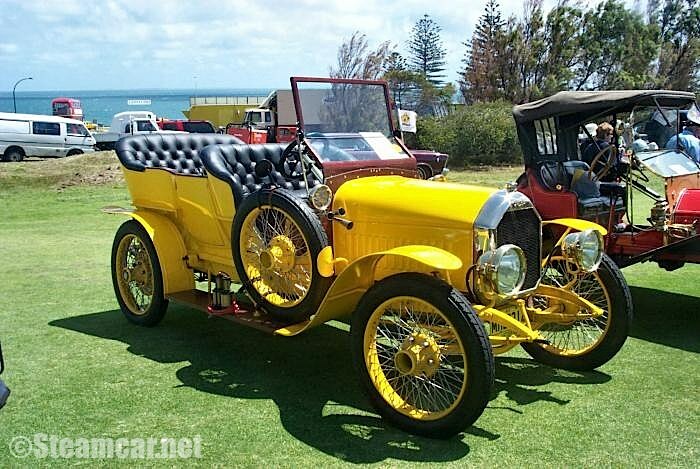 A reluctant sale as a quid-pro-quo for being allowed by wife to buy a locomobile.